Furnished Condo For Sale in Governor's Place! Fresh on the Market & Ready for a New Owner! Convenient loction! Appliances stay as well as furniture in the "Turn-Key" & has it own one car garage. The rear has a concrete patio for grilling out, gatherings & enjoying your summer evenings. 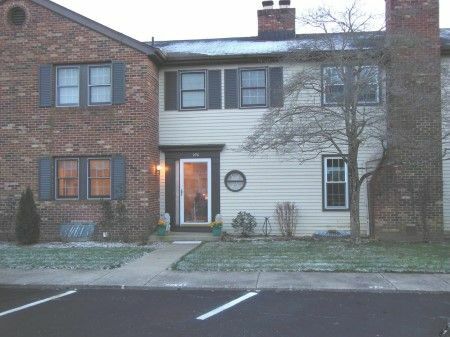 The home is designed wih an eat-in kitchen, living room with brick fireplace, dining ares with sliding glass door access to rear patio, closet & half bath on first floor. The second floor offers guest bedroom w/closet; owner's suite w/walk in closet & full bath with shower over tub plus an adacent half bath. 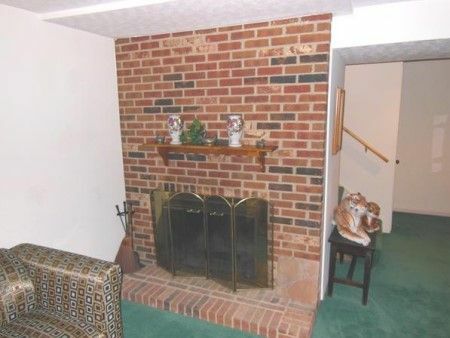 The full basement is finished with spacious recreational space, storeage closet and another brick fireplace. The utiity room has washer & dryer hookups, an updated TRANE furnace/heat pump, electric hot water tank & breaker box. The home is offered furnished but if you don't want the funriture & decor, the seller's will have it removed. Real Estate Terms: $5,000 down at time of sale; balance & possession upon delivery of deed on/before June 27, 2016; offered free & clear prior to closing; sold as-is; no contingencies exist; no buyer's premium; taxes prorated to date of closing; no warranties or guarantees given, expressed or implied. Taxes & Legal: The Ross Co. Auditor reports that this 2 story Condo is Parcel No. 305191278000, was built in 1978, Annual Tax is $1,351.10. Owner reports that Association Dues are $579 per quarter. Terry/Amy Bridenbaugh & Philip/Sabrina Hamilton Owners; Sherri K. Rutherford, Atty.